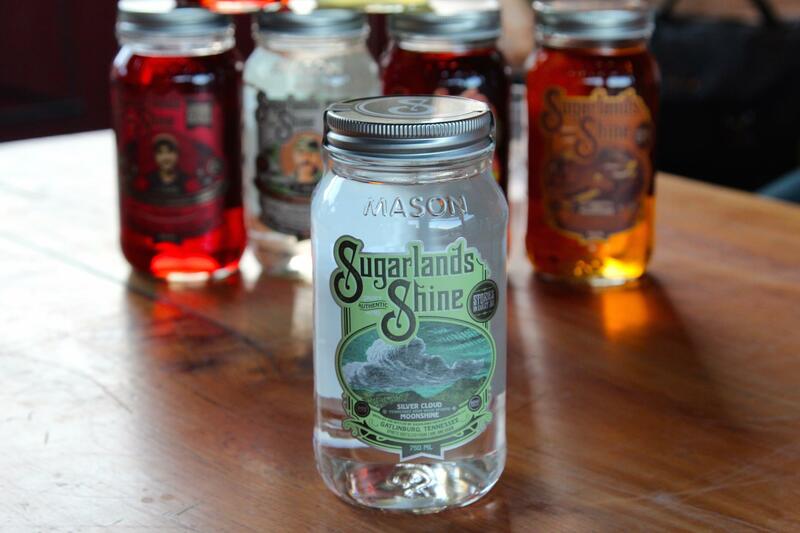 Sugarlands Distilling Company has just become the official Moonshine of NASCAR. In addition, they will be the primary sponsor of the 2019 NASCAR Truck Series race at Talladega Superspeedway. This is Sugarlands first ever partnership in any sporting event or sanction. They have elected NASCAR as their first go. “With the history of Moonshine in the early days of NASCAR, it just felt like a natural fit to us,” Ned Vickers, Sugarlands Distilling Company President explained. We’ve all heard the history. In the early days of NASCAR, several of the drivers were moonshine runners. They used illegal forms of moonshine distribution to avoid taxes and outright bans of the products. These bootleggers grew up running from the law on old dirt roads and no headlights. They were reckless. But, with good reason. Getting caught meant jail time. 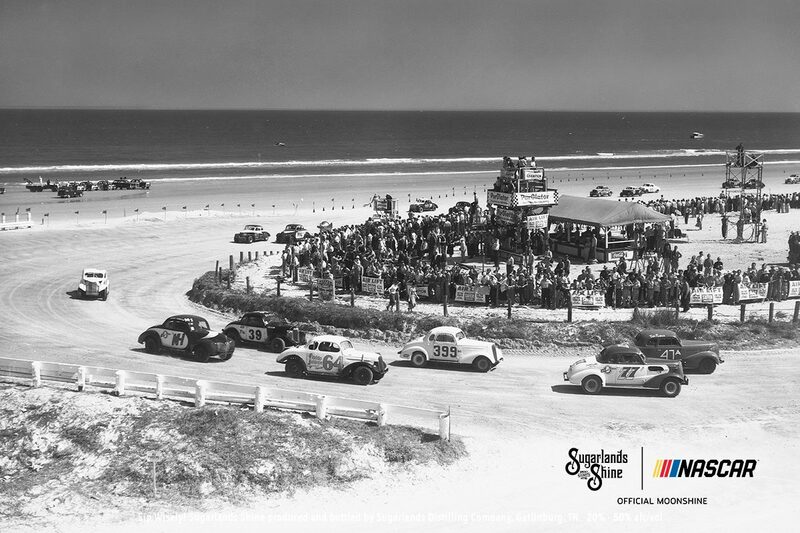 But, the development of those skills led to a career of racing on Daytona Beach. On December 5, 1933, prohibition came to an end. That left these drivers without a job. They began racing their tuned machines on race tracks across the country. On December 14, 1947, Bill France a former bootlegger founded NASCAR. “Our fan base overlaps so well with the NASCAR fan base. We want to be everywhere that fan base is having fun. I can’t imagine a place where that could be more true than here at Talladega,” Vickers concludes. The company has won 20 awards for the taste of their product. 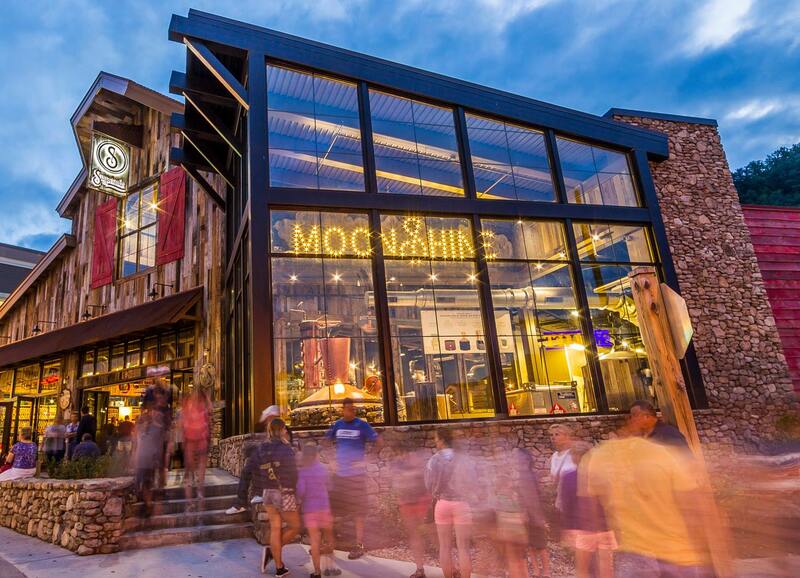 They have a distillery in downtown Gatlinburg, Tennessee. It drew over a million visitors in 2017 alone. The company will be on display at Talladega this weekend. In addition, it will be displayed at Daytona. “Sugarlands, if you need a fan base that matches up pretty well with that, you’ve got it twice a year,” Grant Lynch, Chairman of Talladega Superspeedway explained. At the end of the press conference, it was stated that there were samples in the back of the room. “I haven’t seen the media shy about tasting stuff,” Grant Lynch said with a laugh.